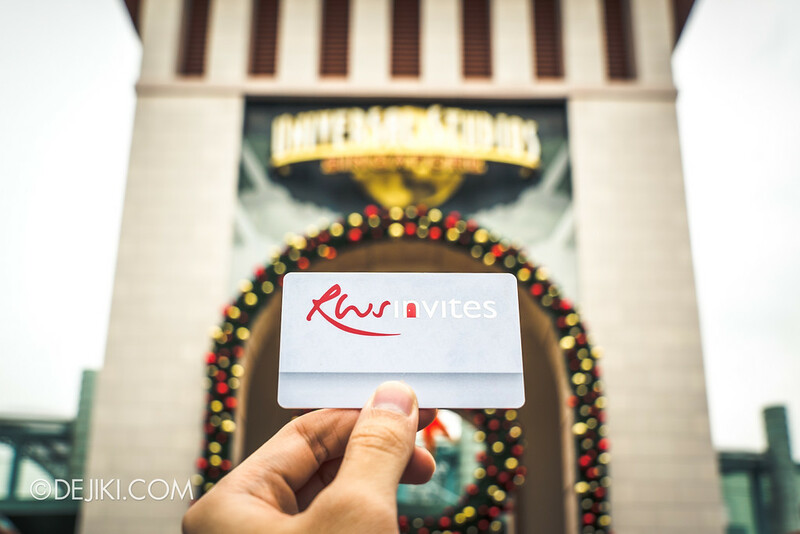 Get members-only deals and privileges all year round with the RWS Invites membership at Resorts World Sentosa. 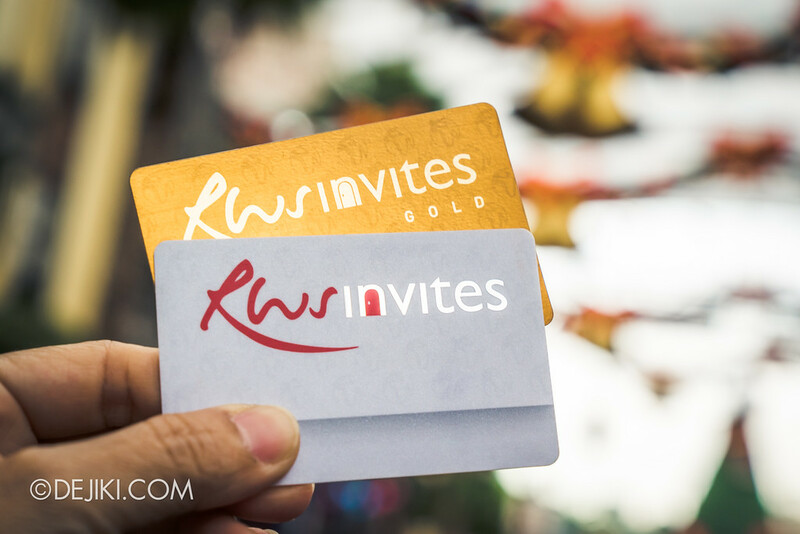 RWS Invites, Resorts World Sentosa’s loyalty membership programme, offers you with rewards, savings and privileges across the resort. It’s certainly essential for anyone visiting RWS often. Whenever you spend at participating outlets in RWS, you can earn rebates in the form of RWS Invites Dollars. The card also offers members-only rates to various attractions and events at the resort, and other benefits like redeemable free parking and free wi-fi at the resort. Recently, the programme was streamlined and you can now be in the club with a one-time enrolment fee of $8. From now till 30 November, new sign-ups online will receive $8 worth of credits! Scroll down and find out more! 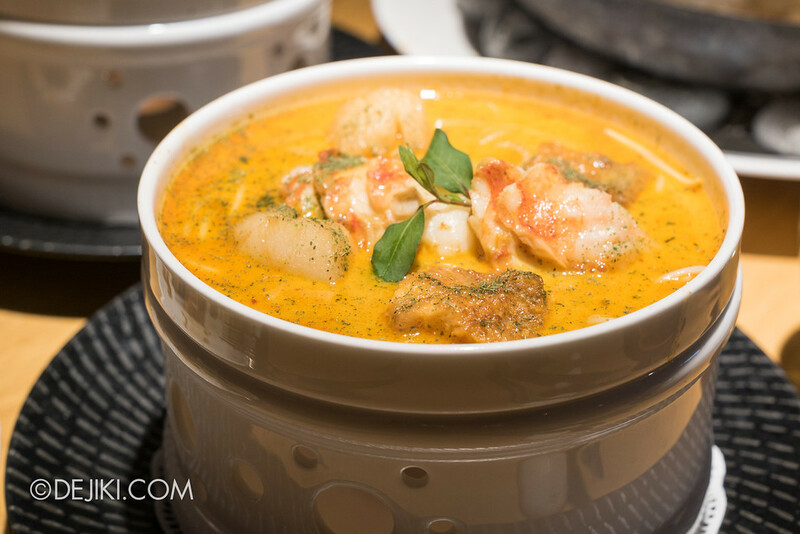 Foodies rejoice! 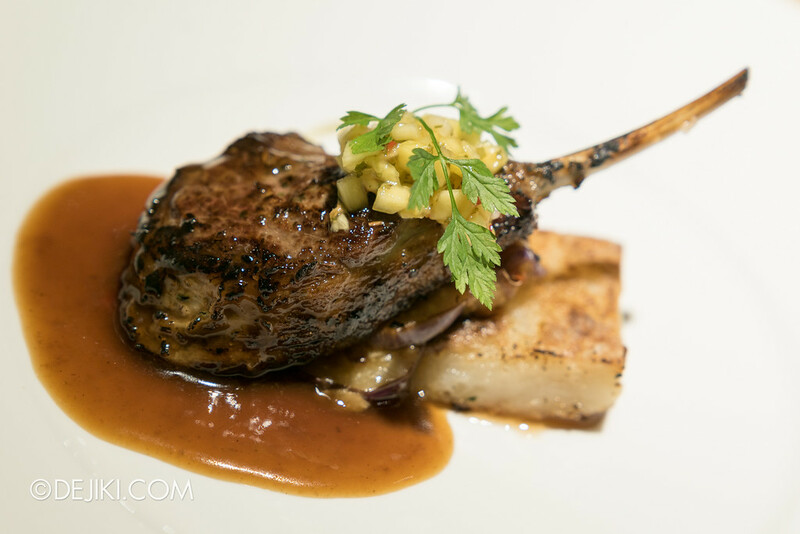 RWS Invites members can enjoy 1-for-1 dining deals, and other offers (even dining for free!) at select restaurants. 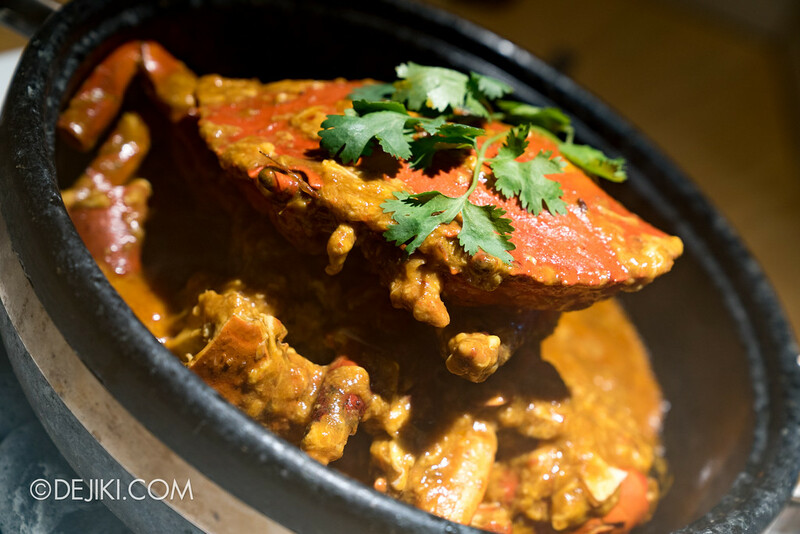 New members will also receive a set of welcome vouchers, and one of them can be used at TungLok Heen for a $30 discount off a minimum spend of $100++. 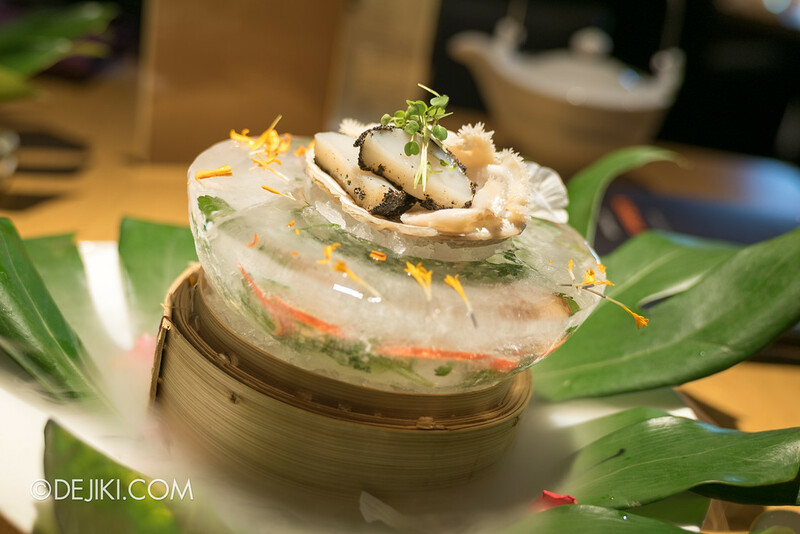 Just in time for the festive season, because you can enjoy TungLok Heen’s signature Chinese cuisine with a modern flair. 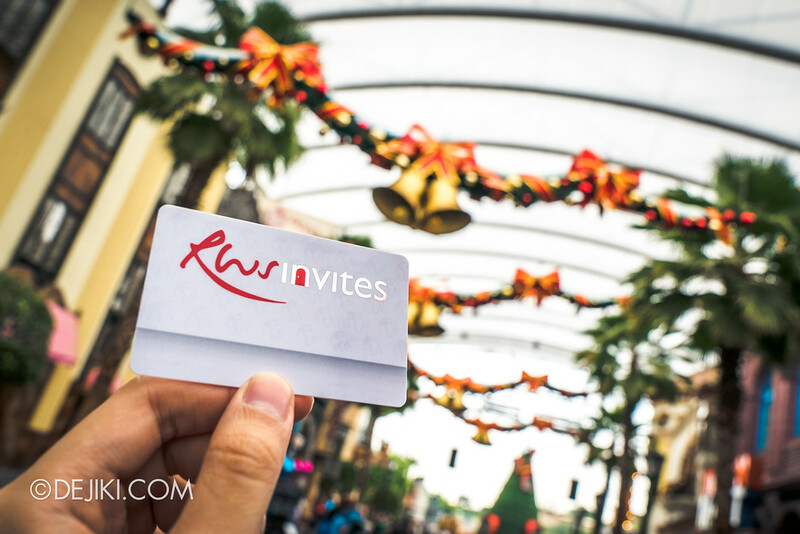 RWS Invites members can get special discounted rates for resort attractions – such as Universal Studios Singapore and Marine Life Park. Up to 50% OFF tickets! For the upcoming Flying Through Time show, members can save up to 50% for Cat 1 – 3 tickets. Learn more and buy now. 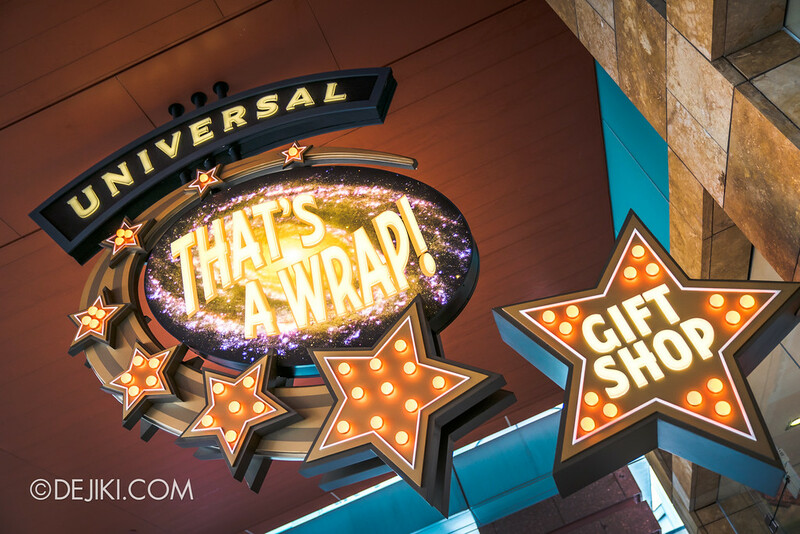 A Welcome Voucher offering $10 discount at Universal Studios Singapore’s That’s A Wrap store, lets you save a little with a minimum spend of $50 in theme park merch. Sign up online and get $8 credit! From now till 30 November, new sign-ups online will receive $8 RWS Invites Dollars! That lets you offset your purchases at participating outlets at the resort, or you can redeem All-Day Free Parking at the resort five times, which will be great for the upcoming Christmas event at Universal Studios Singapore. Learn more about the programme at RWS Invites website. Disclosure: RWS invited Dejiki.com to a dining experience at TungLok Heen to facilitate this article.